Sanjoy Ray is a Guwahati-based journalist working with The Assam Tribune for over ten years. He began his journalism career with northeastribune.com, a web portal, after completing a postgraduate diploma in journalism. During his career, he has reported on range of issues, including insurgency, ethnic clashes, human trafficking, health and education in various parts of Assam. He has covered the 2014 incidents of violence in Baksa and Kokrajhar Districts of BTAD, the 2013 group clashes between Karbis and Rengmas in Karbi Anglong District, and the 2012 group clashes between the Bodos and minorities in the BTAD. 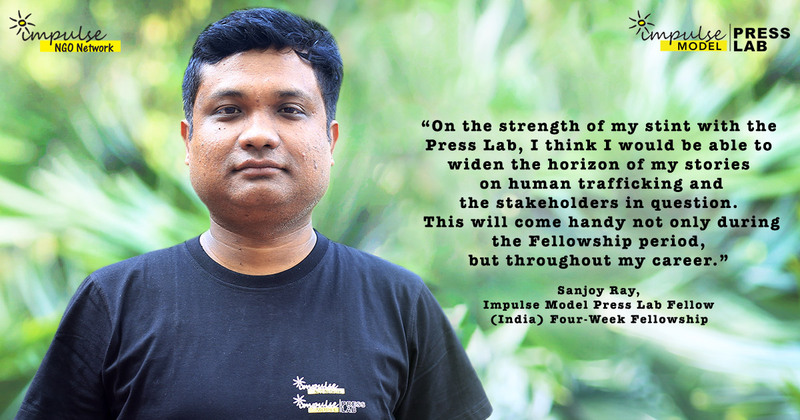 In 2014, he was selected for the Inclusive Media UNDP Fellowship, through which he reported on conditions for girls, women and the elderly in the tea gardens in remote parts of Assam. He received the Monideep Boro Investigative Journalism Award (2015) for his reporting on child pregnancy in the tea gardens. In recent years, Sanjoy has done a series of news reports on trafficking of women and children from conflict-hit areas of Assam into some other parts of India. In 2016, he was awarded the Pabindra Nath Sarma Award for Investigative reporting on issues related to Human Rights and Civil Liberties in 2016, for his reporting on bride trafficking from Assam to Haryana. He knows Assamese, English, Hindi and Bengali.